Normally Ships in 39 Days. 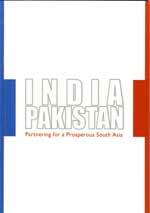 The book "India-Pakistan Partnering for Prosperous South Asia " was published in the year 2005. The publisher of this title is Confederation of Indian Industry. India-Pakistan Partnering for Prosperous South Asia is currently Available with us.